I do believe 'RealityLeavesLotsToImagination' outgrew its boots a fair while ago. I was after something that had more of a personal touch; something that was clearly my own. For some time before I officially decided to take the plunge, I found myself brainstorming name ideas for the rebrand. I wanted something special, something that truly fitted in with the tone of my blog. In the end, a name popped into my head at the most random of moments and I simply fell in love. 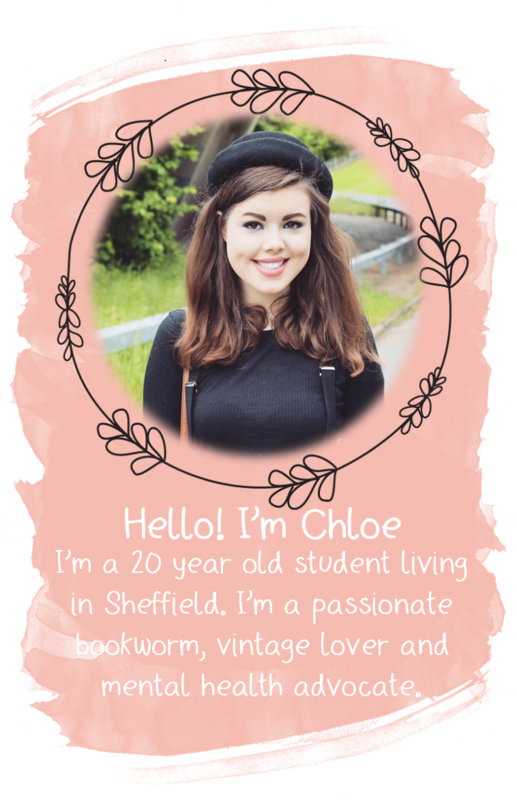 It ticked all the boxes for what I was after in a new blog title and just suited my blog to the t.
So without further ado, I present Yours Chloe x.
I think this fresh new title reflects the relationship I have with this little blog. Yours Chloe x is home to my little internet-based creative space where I can spend all day blabbling on about whatever takes my fancy without having to worry about any restrictions or rules. I aim to write as if I was composing a letter to a friend, hence the 'farewell' based name. On top of the shiny new name, I was lucky enough to win a blog design giveaway hosted by the ever so lovely Serena, and the timing couldn't have been more perfect. She was an absolute saint listening to all of my design loves and loathes, and achieving a more fitting design than I ever could have imagined. This fresh new design really suits my aspirations for the relaunch and I couldn't be happier so I would like to say a huge thank you to her for all of her hard work. I'm ever so excited about this new chapter in my blogging life and simply can't wait to see what adventures it will bring. Love the new name hun, and your blog design looks great too! I love the new look! It looks fabulous - a complete change from before! Loving your new name and design - It looks fab!